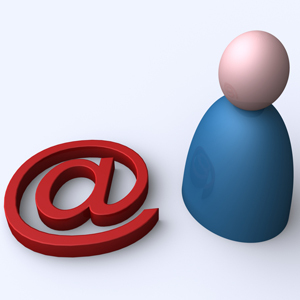 Email marketing is a great way to market your business, stay on the minds of prospects and connect with your clients. In earlier posts, I outlined some of the benefits of email marketing, shared examples of some of the information you can send out, and provided a list of email marketing services to help streamline your efforts. But how do you get started building a list? This is probably the most important element of an email marketing campaign, and it can directly determine how successful you are.Â If you aren’t currently collecting addresses either through a sign-up form on your web site, or in a different manner, building a list should be one of your first steps. Here are some things to keep in mind as you get started. Put your sign-up form front and center on your web site. The easier it is for people to see that you have a mailing list, the easier it will be for them to opt-in. If you have a contact form or online shopping system on your site, you should also include a checkbox on those forms so visitors can sign up as they complete other activities on your site. Keep in mind that most email marketing services provide code for your sign-up forms that you can easily integrate into your web site, so you may want to choose a provider early in the process. We all hate spam, so make it clear what people are signing up to receive and include a statement on every form that you will never share their information or use it for any other purpose than your mailings. It may also be a good idea to let subscribers know how often they can expect to receive messages from you when they sign up. Even if you have a few hundred contacts in your address book that you are sure would like to receive email from you, give them a chance to opt-in. You can do this by sending them an introductory message, letting them know you now have a mailing list, and provide an idea of the type of information you will be sending them. Give them a link to confirm their subscription, and they will automatically be added to your list if they want to receive messages from you. Some of the most successful sign-up formats are those that give the subscriber something for free when they sign up. This can be a free report, a discount, a contest or sweepstakes, or some other wanted incentive. Just be sure to make it clear that in requesting the freebie, they are signing up for your mailing list (and of course, they can always unsubscribe). All of your subscribers donâ€™t have to come through your web site. If you are a member of any local organizations, speak at conferences, or frequently attend live networking events, bring a mailing list sign-up sheet with you so the people you meet can opt-in right there while you’re face-to-face. Email Marketing: Is It Worth Your Time?